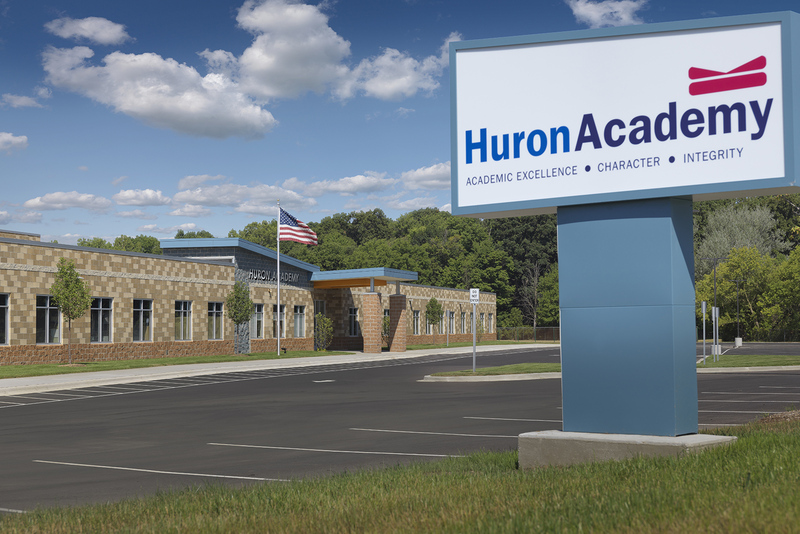 The new Huron Academy 3-8 School is the first step in the master plan for expanding Huron Academy’s program to middle school and high school grade levels. 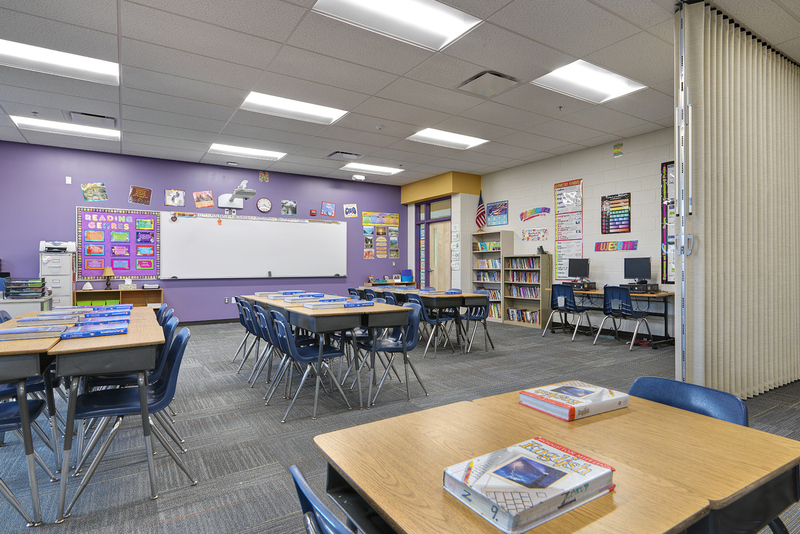 Prior to the construction of the new school building, the school was operating out of a factory-built modular classroom building that could not provide the services and programs the students needed. 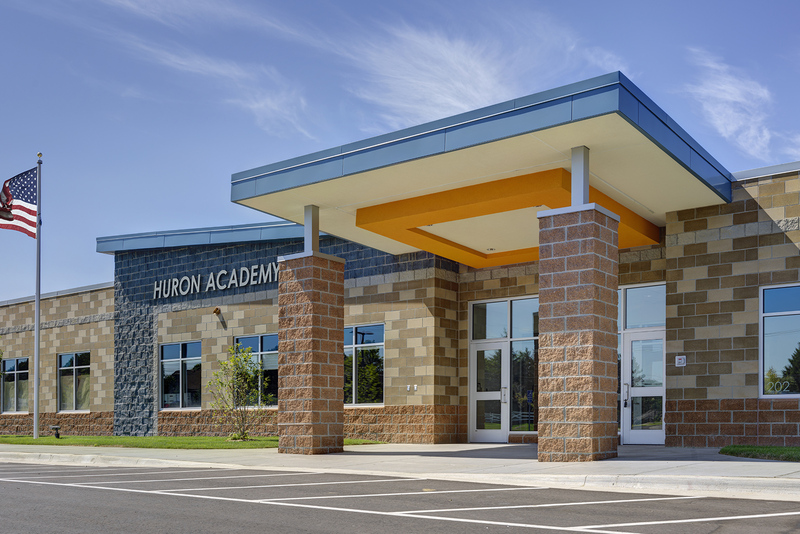 The construction management team developed a budget based on a new 25,000 square foot building at $124 per square foot. 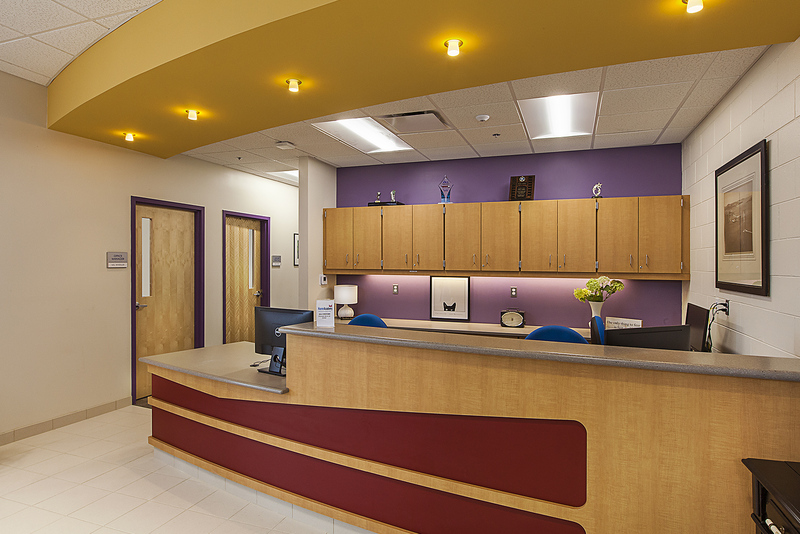 After programming the new facility, it was determined that an additional 7,000 square feet of space was needed, but the budget could not be increased. Ultimately the project was constructed 28% larger than originally anticipated with a construction cost of just $98 per square foot. 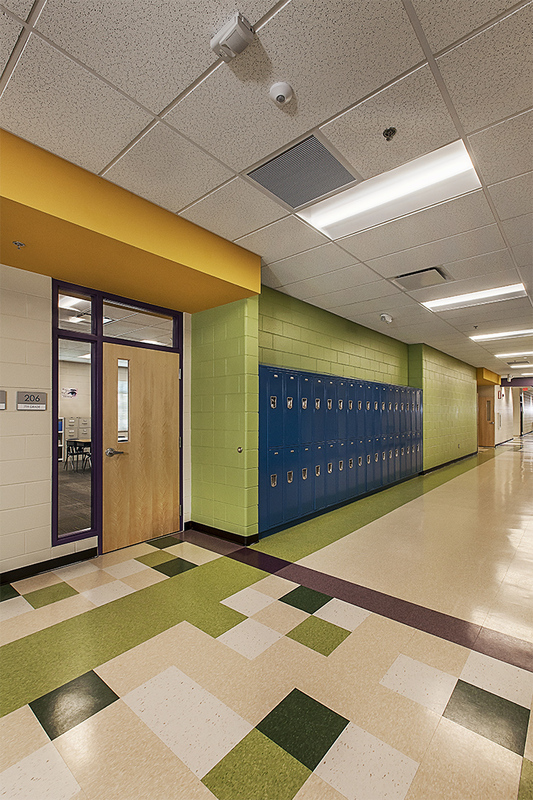 The design team was challenged with the task of creating a unique, fun and identifiable aesthetic for the school on the tight budget. 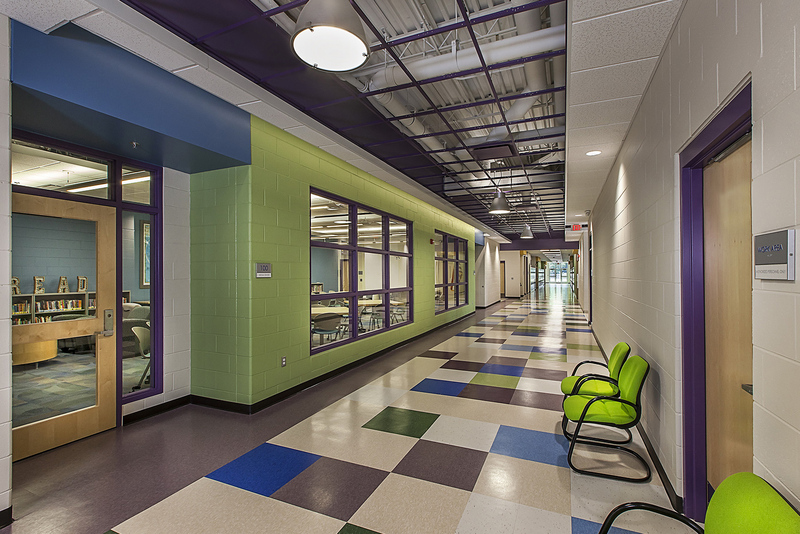 The team embraced the concept of utilizing multiple colors and textures of readily available CMUs and created an artful, inventive and uplifting place to learn. 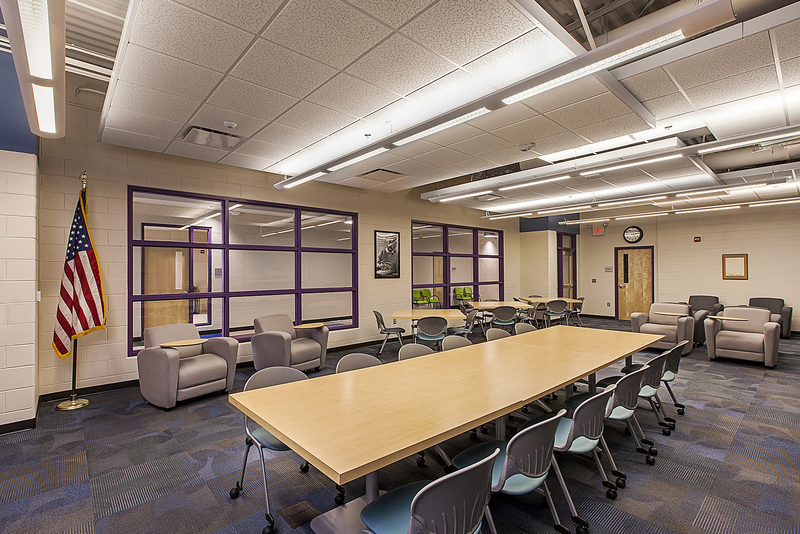 The new school incorporates flexible environments for educational exploration.